Time wall clock is designed by the German duo, Jehs & Laub. 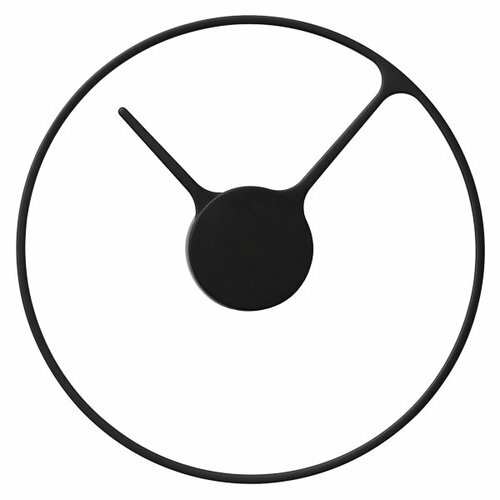 The clock’s minute arm is linked with and forms the clock face, casting an attractive shadow on the wall. 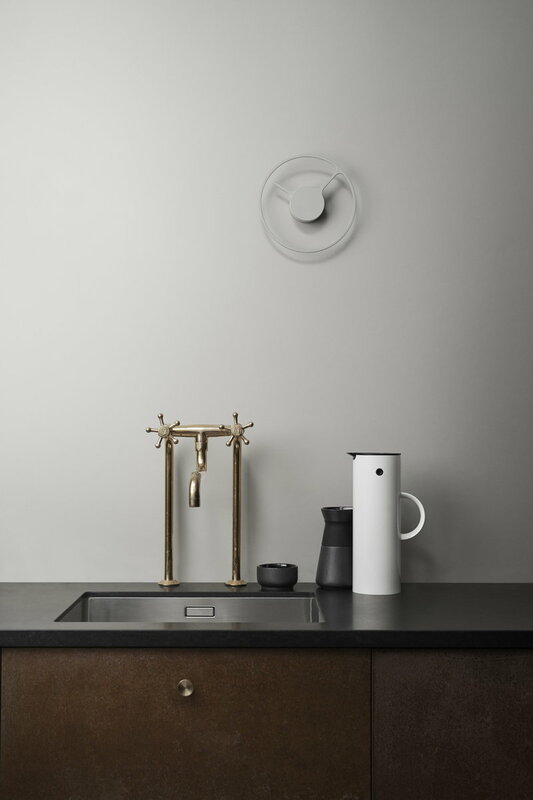 Simplicity gives the clock a unique, graphical look and the absence of traditional clock casing creates the illusion of floating on the wall. Time is a complex phenomenon, but your clock does not have to be. The German designers Markus Jehs (b.1965) and Jürgen Laub (b.1964) met each other while studying industrial design at Hochshcule für Gestaltung Schwäebisch Gmuendand became friends while doing an internship in New York in 1990. They established the Jehs + Laub design studio in 1994. They have designed furniture and lamps for many leading design companies and assigned the interior for among other the showrooms of Mercedes-Benz and the suite 606 for ICEHOTEL in Sweden.